Mix and Chic: Giveaway- Twovet king/ queen comforter (worth over $200)! Giveaway- Twovet king/ queen comforter (worth over $200)! Today, I have an amazing giveaway for you! One of you will have a chance to win a king/ queen comforter worth over $200 from Twovet! Now, Twovet is not your typical comforter! 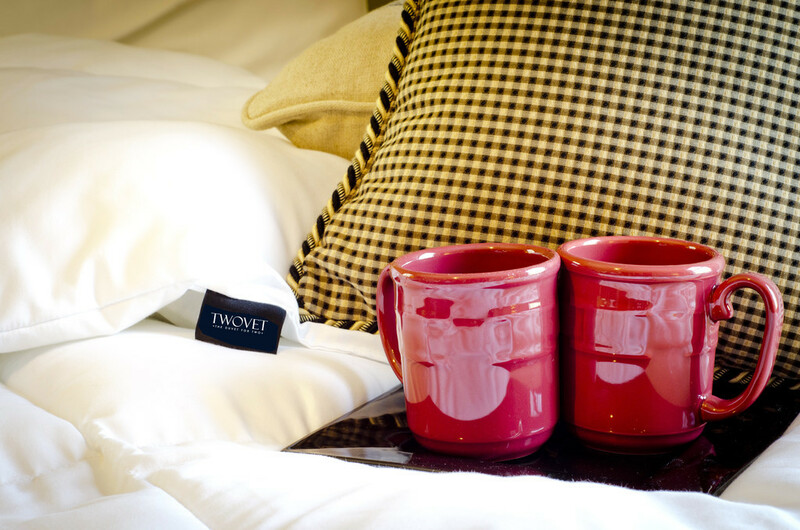 What sets Twovet apart from the average comforter is Twovet is cleverly designed with a thick (warm) side and a thin (cool) side to satisfy different warmth preferences for couples. Individually hand-crafted in the USA guaranteeing superior quality, it was constructed with materials that are free from harmful chemicals. 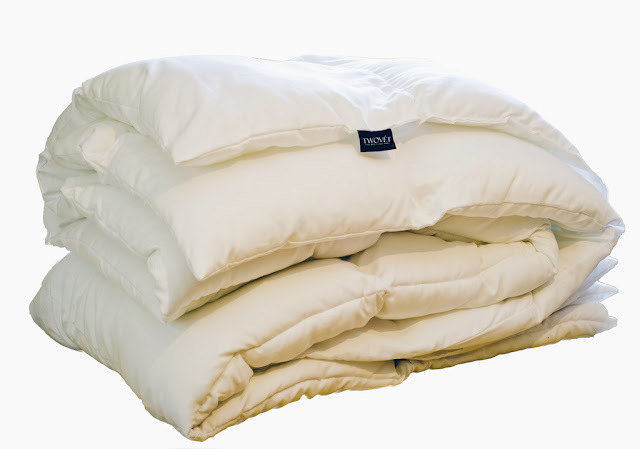 Made with luxurious 100% cotton cambric cover, it is also hypoallergenic/ irritant free fill. The baffle box construction eliminates fill from shifting and provides equal warmth within each side of the comforter. My name is Tim Doyle and I currently work full-time in the finance industry. At night, I am taking classes at Suffolk University towards my MBA. I currently live just west of Boston and grew up in New Hampshire. At an early age, I became fascinated with the operations of small businesses. When I have down time, I enjoy golf, snowboarding, traveling and hanging out with friends and family. Over the years, my friends and family have given me a hard time for new product ideas. Similar to most people, I would think of solutions to problems that I currently had. However, none of these ideas came to fruition until the Twovet™. My fiance and I always fought about the number of comforters needed on our bed. She thought it was too hot in the room and I thought it was too cold. It's slightly embarrassing to admit that I was the colder one. More often than not, the female is the colder of the two. Likewise, my fiance was very picky about the way the bed looked, given she was studying interior design. Apparently, having three extra multi-colored twin comforters on one side of the bed, is not "aesthetically pleasing". After the disagreements, I figured there must be a solution for this. After searching the internet in some detail for a comforter with two different thicknesses, I came up empty. From that point on, I was determined to create a comforter that provided comfort for couples with different warmth tolerances. 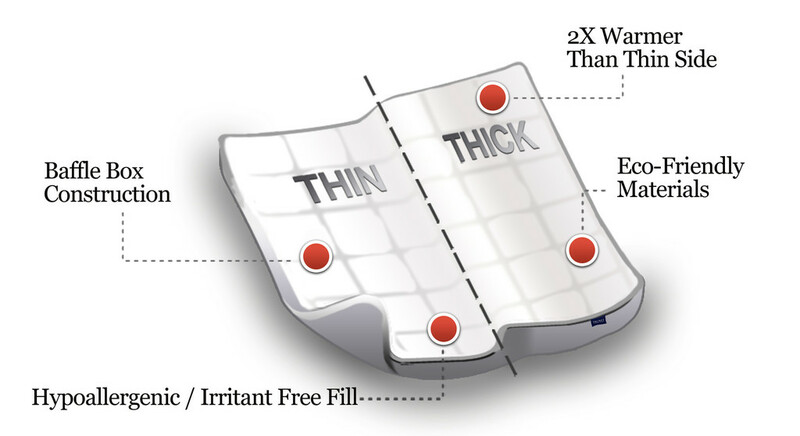 The Twovet™ is a down alternative comforter designed with a warm (thick) side and cool (thin) side to satisfy different sleeping preferences. 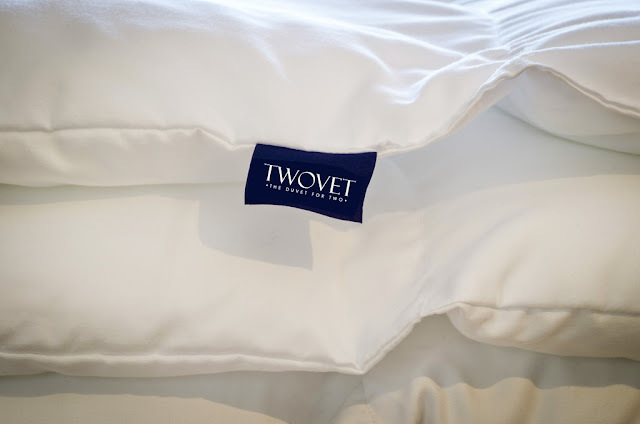 The name Twovet™ is the combination of the words "two" and "duvet". 3. What was your "Ah-ha" moment? "Ah-ha" #1: After discussing this topic with friends, family and acquaintances, I realized that most couples have different sleeping preferences and there may be a need for a product like this. "Ah-ha" #2: I made a sale to someone that I didn't know. “Ah-ha” #3: I presented this idea during an MBA Marketing class and was surprised by the positive feedback. 4. How did you go about making a prototype? Two hours after deciding that I wanted to move forward with this idea, I drove to my parents house with a bag of materials from Jo-Ann Fabric. Thankfully my mother is skilled with the sewing machine and we had a miniature prototype created by the end of the day. 5. How can readers learn more about the product? Feel free to check out our website, thetwovet.com. We are also on Facebook. 6. What advice would you give someone in the interior design industry that is looking to bring a product to market? Many people get caught up with an idea. I would argue that the idea represents only 5% of the process. The other 95% is related to execution. Create a product that solves a problem that you currently have. Get as much feedback, as early as you can from people other than friends or family. Entrepreneurship is something that I am extremely passionate about. If there is one thing that I would like readers to take away from this interview, it is that anything is possible. If you decide that you want to invent the next product X, START TODAY! My lovelies, if you have additional questions or would like advice on how to get started with a product of your own, feel free to email Tim directly at tim@thetwovet.com. Please note: Currently, Twovet do not ship internationally. Now back to the giveaway! Don't forget to increase your chances of winning by clicking on the extra entries! The last day for entries is October 23, 2012. A winner will be chosen by random and announced on Thursday, October 25, 2012. Good luck! I'd love the chance to win a Twovet as a surprise for my boyfriend. He's just moved in to a drafty apartment. A Twovet would definitely keep him warm and toasty! I NEED a Twovet because my husband is always hot and I'm always cold. This would be perfect for us. Oh my gosh this is a genius idea! My husband is always hot and I'm always cold. I would love to win this. Thanks for the chance! This would be so perfect for my husband and I- he is always hot when he sleeps and I am always cold. This comforter is a genius idea! What an absolutely splendidly smart idea! We may be two peas in a pod, but that doesn't mean we sleep at the same temperature! I could use this because I like light covers but my boyfriend likes to pile on the blankets because he gets cold. What a great idea, my husband is always cold and I am always hot! what a gt idea...now i know lightening does not strike twice in one spot and I just won your last give away so I don't even stand a chance to win this give away...but I still wanted to comment and say that I read this post and this is a super cool concept. and happy monday! This is great! Currently I sleep under all the covers and my husband bunches his side up in between us because he doesn't want them. This would solve hubby and my dilemma about too hot for one too cold for the other! This is amazing! I'm always colder than my husband so this would be perfect for us! Since my husband and I can never agree on temperature, this would be amazing in our household! Thanks for the chance! I would love a Twovet because my fiance and I are getting married next year and we're going to be saving up for our own home so this would be perfect for us since I am always so cold and my fiance is always so warm. This could literally be the perfect solution for our sleeping dilemma of one of us being too hot or too cold and would be the perfect wedding gift! This would be perfect for me, being that I am getting married on 10/12/13 we definitely could use this! Thank you for an awesome giveaway! Good luck to everyone! My current comforter is falling apart. I would love something new. Oh and my birthday is coming up in the next few weeks! My husband always says he's "burning up" because of his Indian blood, but I'm always freezing. As soon as I turn the heater on, he turns it off. The Twovet sounds like the perfect solution to our problem!! !